Increase social engagement between nursing home residents and the people they care about. The number of nursing homes equipped with wi-fi services is increasing at a high rate. While many residents would love to have smart phones, tablets and computers, they simply cannot afford them. The average guest has about only $30 to their name every month, and most would rather spend that money on things like birthday presents for grandchildren than to save the money for themselves. 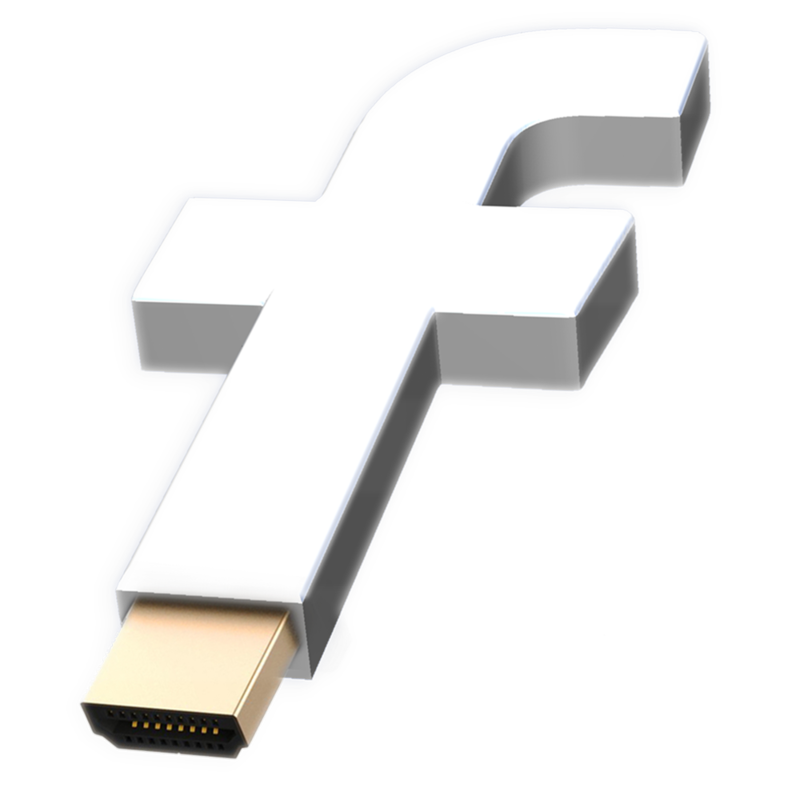 The Facebook brand is dedicated to connecting people. In recent years the brand has gone to great lengths to ensure all people have access to the service. Creating an experience that increases resident engagement. About 90% of all nursing home residents have a television which opens up a unique opportunity to build from there. 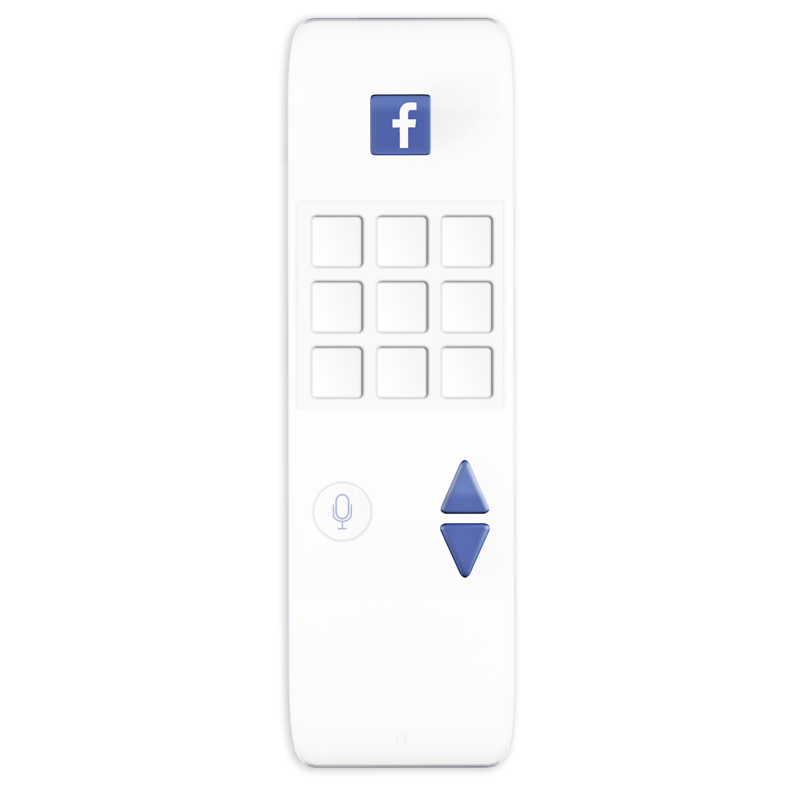 Facebook Horizon is a Plug & Play TV Interface designed to create a guided social network experience for seniors, at the lowest possible cost. 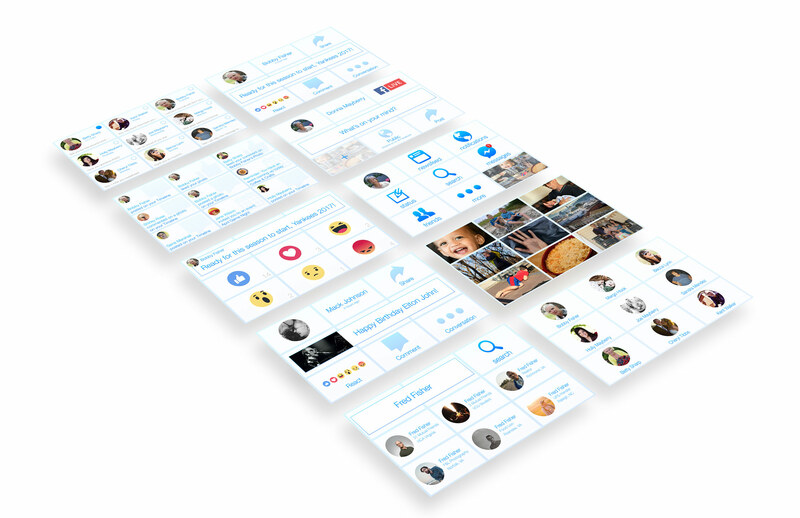 Horizon has core Facebook features, such as newsfeed browsing, photo sharing, and video calling; this creates a life changing experience for nursing home residents who will now have access to their friends and family at the touch of a button. Creating hardware that feels natural to seniors. The remote serves as a familiar input method for seniors. 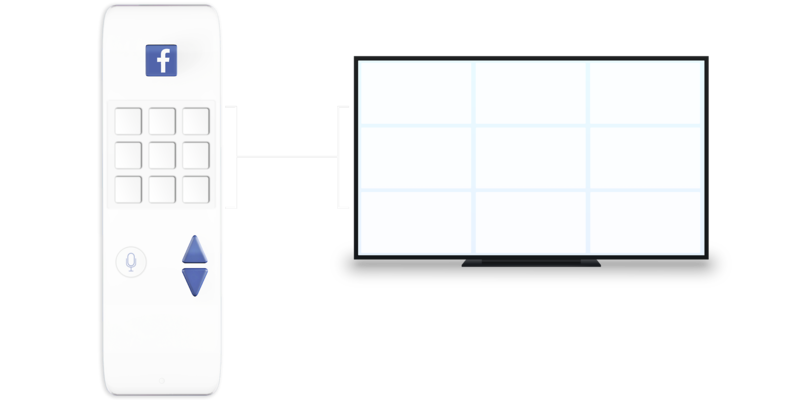 The remote is tailored to crafting the easiest experience for users. Easy to install on any television. There will be a HDMI lock on each device to prevent theft. There is a USB port on the left side of the logo. Will be connected via USB to HDMI Plug-In. 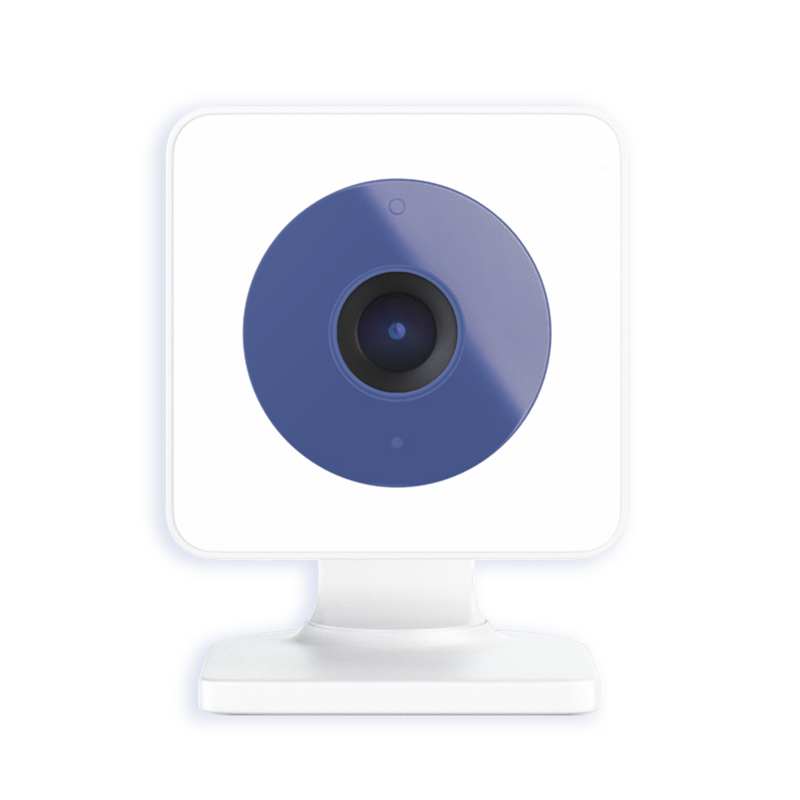 The camera is only available with the premium Facebook Horizon bundle which runs about $20 higher in price. 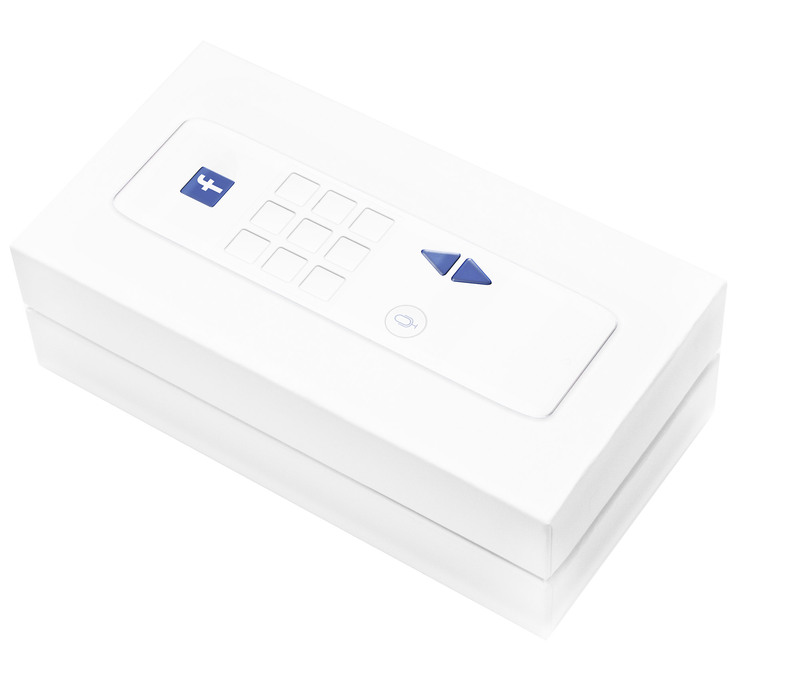 The 9 square buttons on the remote will allow the user to interact with the corresponding panel on the grid interface, at all times. Over 75% of all nursing home residents have some level of vision loss. The average resident's television is thirty inches or less. Both of these factors call for unique design decisions to be made. 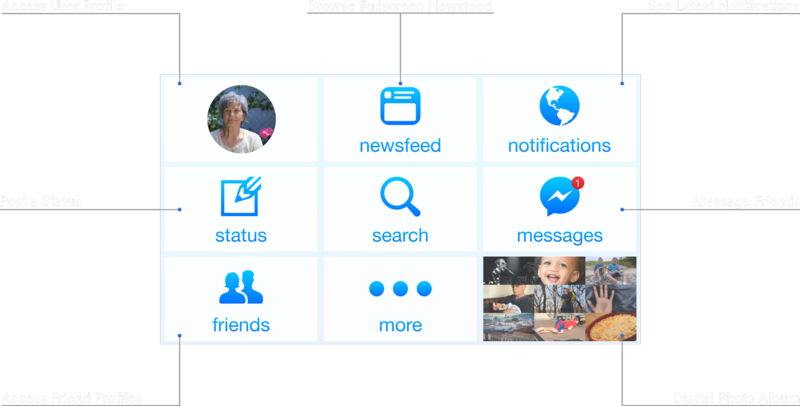 Each type of newsfeed item has been adapted into an easy to read larger form. This allows users to easily read and interact with the items. 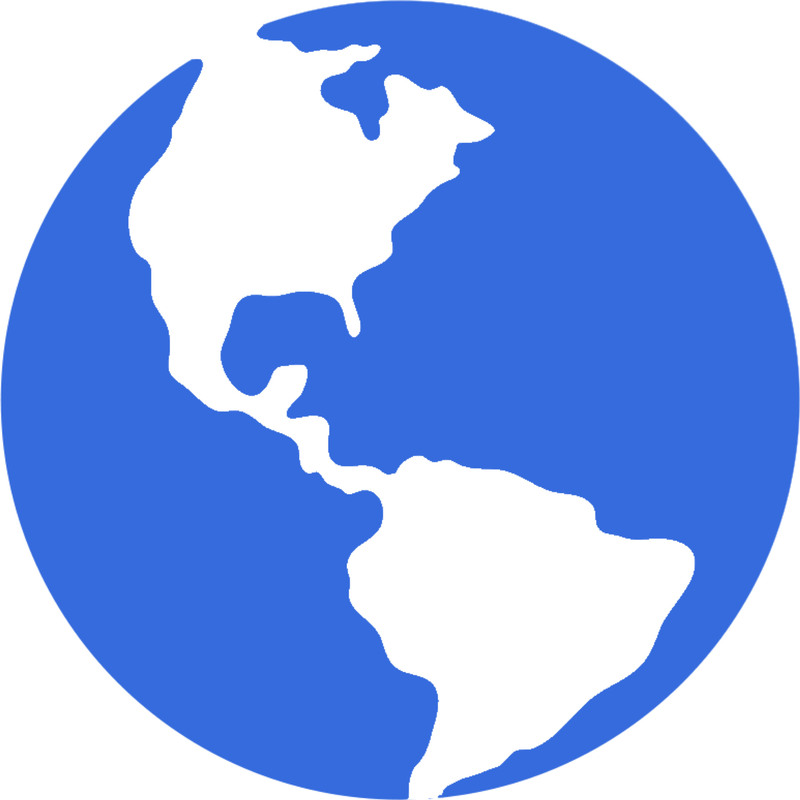 Horizon allows users to download photos/videos to a digital photo album. Through user research I found that photo collecting and sharing are the most popular Facebook features among seniors already using the service. I wanted to ensure these features played a prominent role in the Horizon experience. Knowing that it would be difficult for some users to type full comments I wanted to ensure “reactions” were featured prominently. This would allow the users to share their reactions to things in a very simple manner. 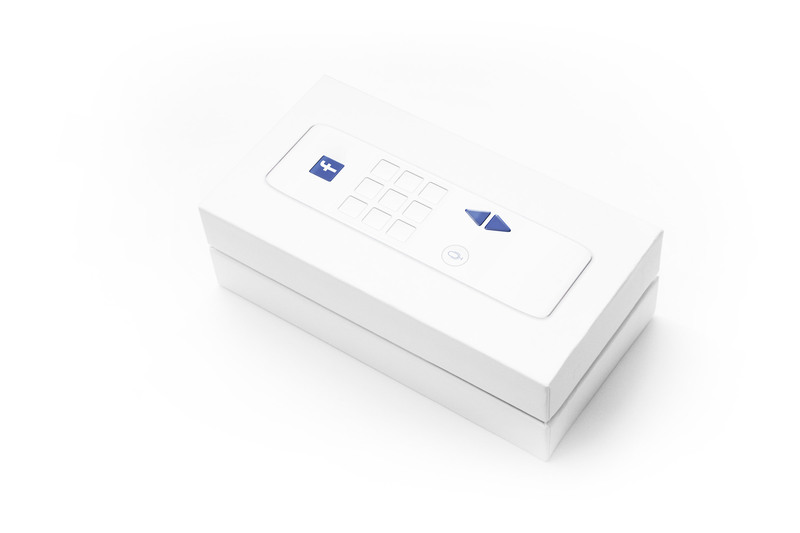 Since I knew I wanted a remote tailored to the digital product, it was an interesting challenge trying to sync up hardware and software designs into the best possible experience. I weighed my options and decided to prototype remote variations on a digital interface, this allowed me to use my phone as a remote to control keystrokes on my computer. I then mirrored my computer’s screen to my TV using Airplay. I was able to test my ideas on the TV, using my phone as a remote, without ever having to leave my computer desk. This allowed me to rapidly test usability for digital/physical concept combos.